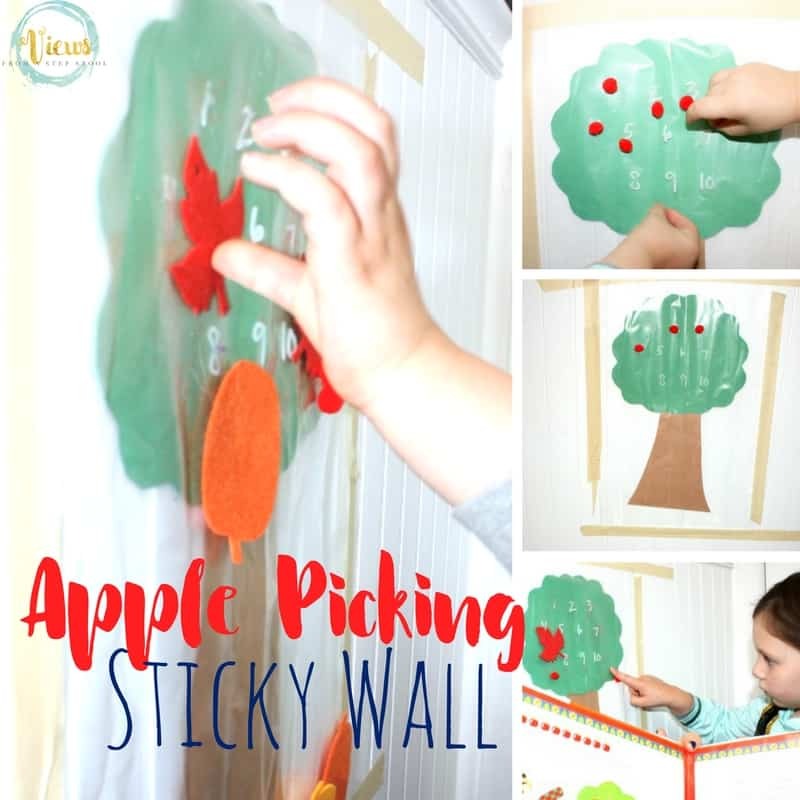 Sticky walls are so much fun for kids to play with, it’s like having a giant sticker! 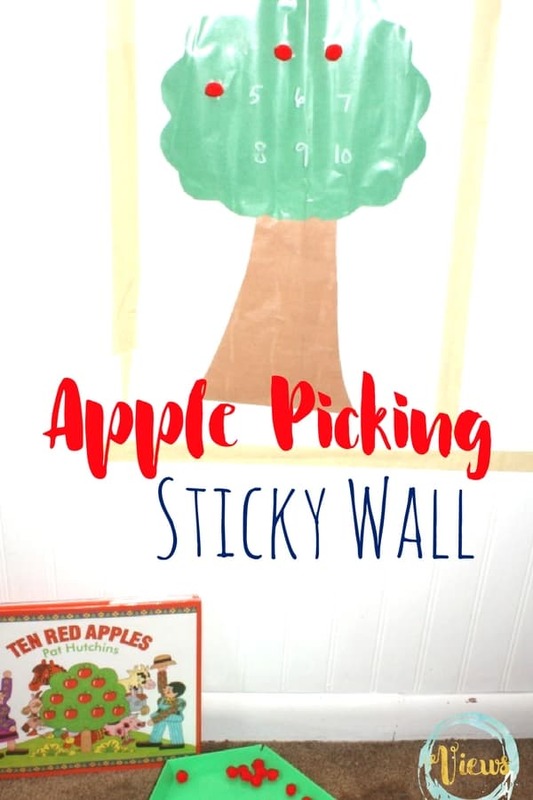 It’s an almost magical experience for little ones as they get creative with supplies and have free reign to decorate a section of the wall 🙂 This apple picking sticky wall activity pairs well with the book, Ten Red Apples, this week’s book for the Virtual Book Club for Kids! A sticky wall is essentially a piece of contact paper (sticky side out) attached to the wall with masking tape. 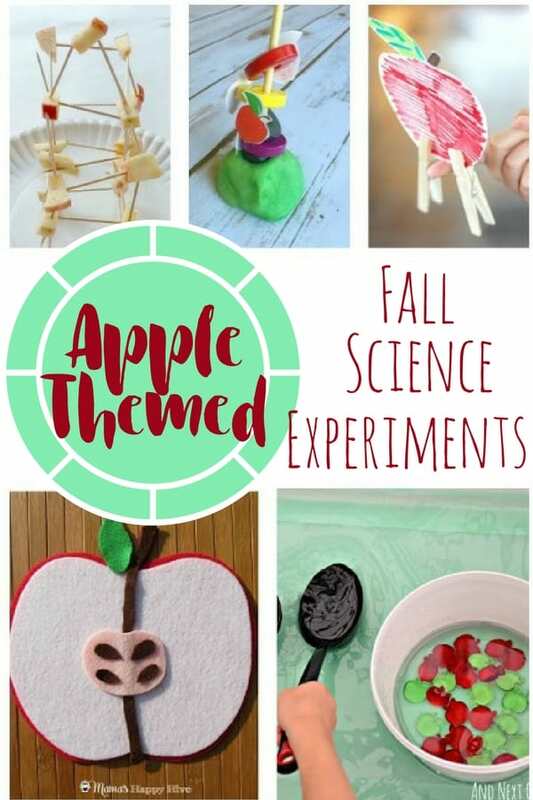 We like to make these with seasonal items as a fun boredom buster, and additionally, can be used for learning shapes, colors and more! If you are uncomfortable with placing this on your wall, it can be attached to a table top instead (though working on a vertical surface like a wall can have great benefits). 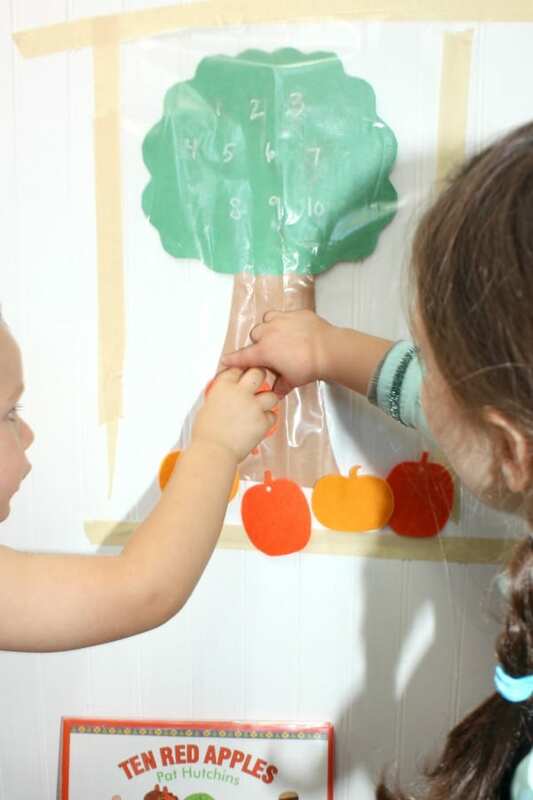 Assemble a construction paper tree by cutting a trunk out of brown paper, and a tree top out of green. 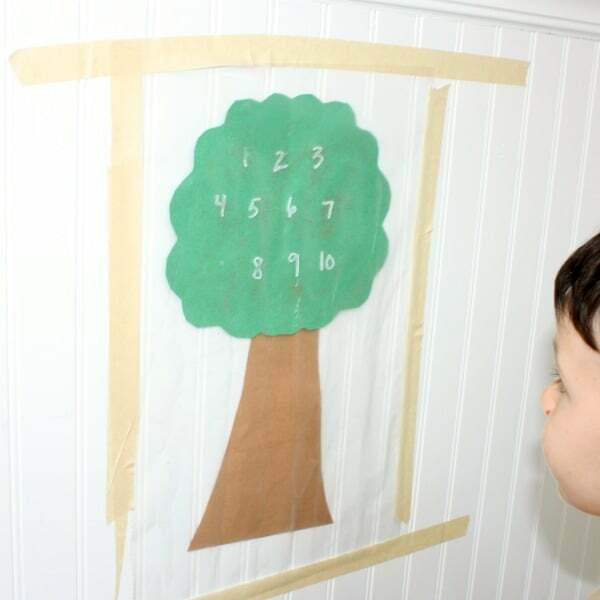 Attach the paper tree to the wall with a piece of masking tape. 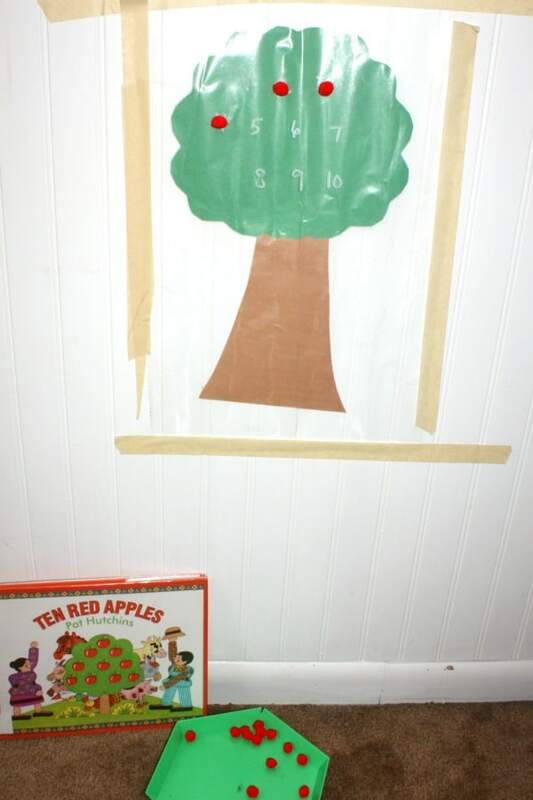 Cut a piece of contact paper large enough to cover the tree completely, and attach it to the wall with masking tape, sticky side out (see video below to see this part in action). 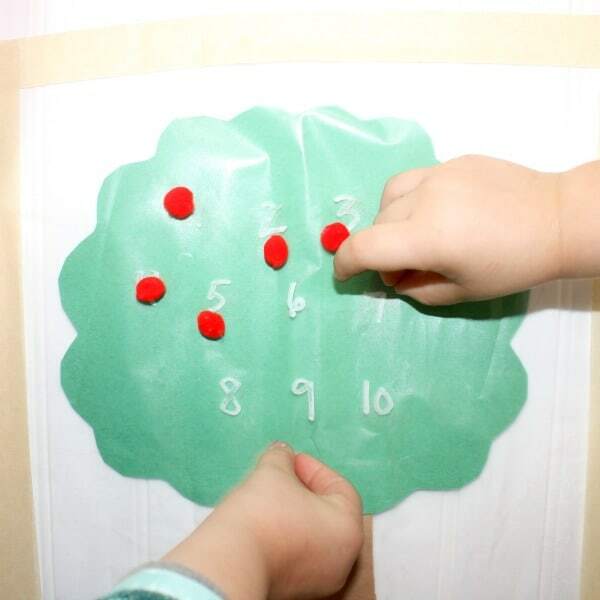 On the contact paper, write numbers 1-10 using a permanent marker for kids to place and count ‘apples’. 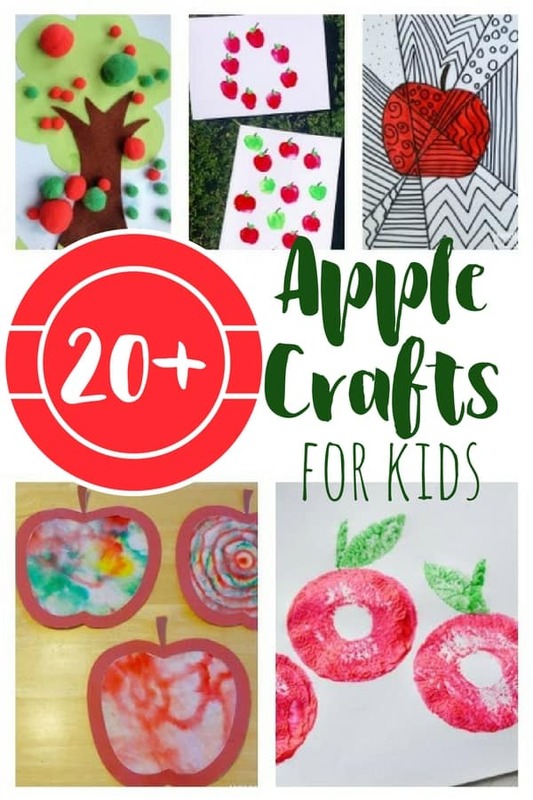 Kids can add the pom pom apples to the tree and pick them off. 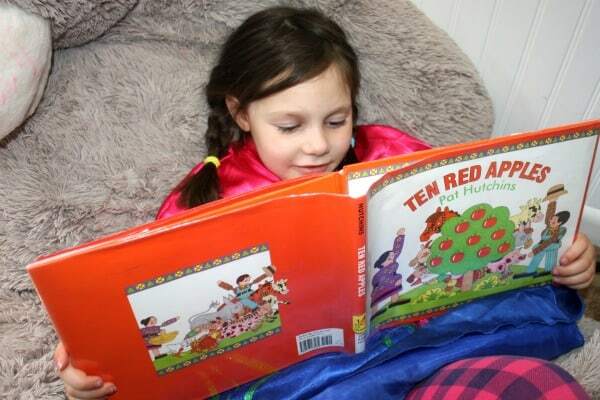 This is a great activity to read along with the book, Ten Red Apples. 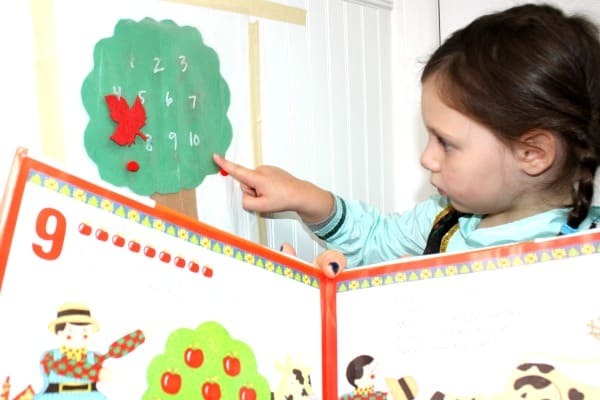 My 4 year old enjoyed picking an apple with each page, pretending to be the animal doing the picking. 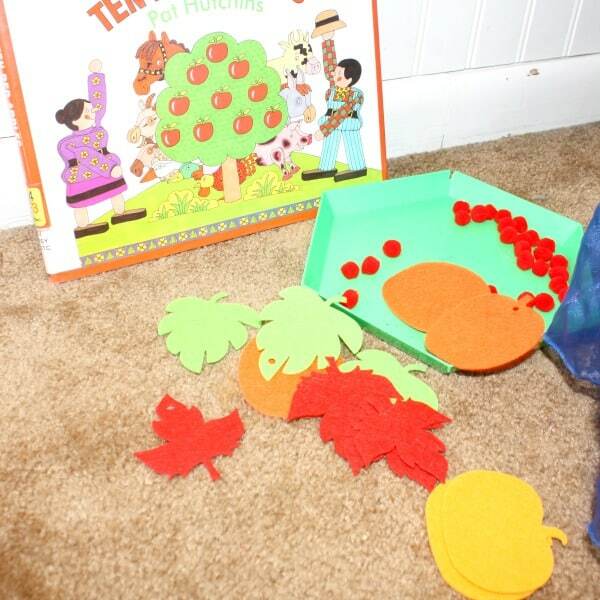 We added some felt fall leaves to our sticky wall and played and read over and over again! 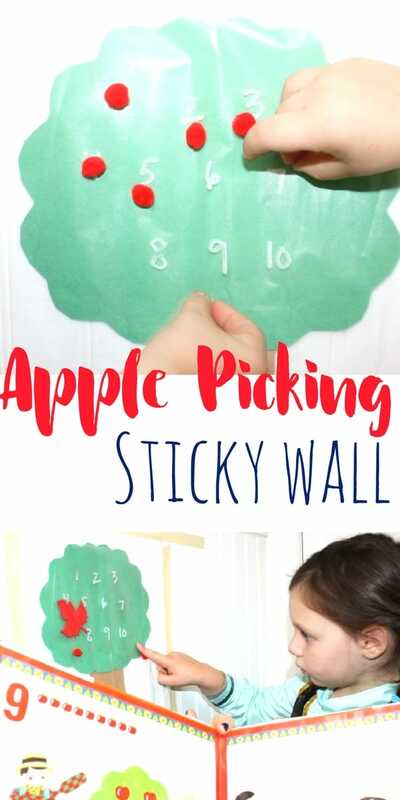 Enjoy making your own apple picking sticky wall! What a fun way to work on numbers!